It's been a little quiet on this blog over the summer, mainly because I've been busy with various projects for other venues (for example the Clarke shortlist review). But also, because I've been busy reading. A lot. 2016 is shaping up to be one of--if not the--most prolific reading years of my life. Quality-wise, it's also been very rewarding, and though my other writing prevented me from giving some of these books the more in-depth look they deserved, this is still an impressive bunch of books, and worth a closer look. Uprooted by Naomi Novik - Novik's Nebula-winning, Hugo-nominated novel--her first standalone after a decade with the His Majesty's Dragon series--has echoes of Howl's Moving Castle and Seraphina, and stands up reasonably well alongside those antecedents. In a thinly-glossed, cod-medieval Eastern Europe, a wizard known as the Dragon exacts a mysterious but unrelenting tribute from the residents of the villages that border the malevolent, magical Wood. Every ten years, he selects a seventeen-year-old girl to live in his tower and serve him. The girls always return, unharmed, claiming to be unmolested, and handsomely paid, but they also always leave soon after, cut off from their families and communities. The villagers tolerate this custom because the Dragon protects them from the predations of the Wood, which encroaches further every year, contaminating food and water and occasionally stealing people, who return (if they do at all) altered and sinister. Heroine Agnieszka is of an age to be chosen by the Dragon, but she, like all her neighbors, believes that it's her beautiful, brave, talented best friend Kasia who will be taken. When the Dragon takes Agnieszka instead, he reveals that it's because she has magical power, which he is legally bound to train. But Agnieszka's training soon gives way to the demands of the real world, as the cold war with the Wood heats up, and threatens to engulf the entire nation. 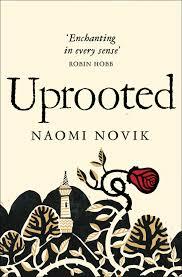 What works best about Uprooted is the way that Novik combines her obvious inspirations in Eastern European folk tales (including liberal references to Baba Yaga) with a carefully worked out fantasy world. The most exciting parts of the novel are when Agnieszka and the Dragon learn to combine their magical approaches (somewhat predictably--and a little annoyingly, to my tastes--his magic is scientific and methodical, whereas hers is intuitive and rooted in nature) and come up with tools with which they can fight the Wood's increasingly complicated attacks. The Wood itself is a fascinating and terrifying opponent, both for its corrupting effect on people, animals, and places, and for the obvious intelligence driving its tactics. A sequence in which Agnieszka and the Dragon are compelled by an adventurous prince to accompany him into the Wood in order to rescue his kidnapped mother is tense and hair-raising, and Novik does a good line in pulse-pounding action storytelling. Also rewarding is the fact that the book does not abandon the relationship between Agnieszka and Kasia after their separation, and that the two girls remain each other's strongest supporters even as they both undergo profound changes and take on bewildering responsibilities. Like Seraphina, Uprooted takes the attitude that the only thing to do with a heroine who turns out to have super-special, super-awesome powers is to pile her high with increasingly challenging responsibilities, constantly raising the stakes every time she manages to solve a seemingly impossible problem. But it's nice that alongside that refreshing unwillingness to be in awe of its own heroine, Uprooted also gives her someone who is always in her corner, and that that someone is also a girl. If I have one reservation about Uprooted (aside from the way that the novel's breakneck plot loses focus a little as it approaches its climax), it is with the central romance. On one level, there is nothing here to complain about--Uprooted is as much a romance novel as a fantasy novel, and it does a good job of establishing not just the emotional but the physical attraction between Agnieszka and the Dragon, so much that it will be a rare reader who finishes the novel not feeling desperate for these two crazy kids to make it work. But at the same time, the Dragon is also the same person who has spent a century abducting and abusing--emotionally, if not physically or sexually--teenage girls, and the book doesn't do quite enough to bring him back from this. It is, perhaps, to Novik's credit that she doesn't delve into the Dragon's tragic past and blighted love life to justify his arrogant, high-handed behavior--she recognizes that nothing that he's suffered justifies the suffering he's caused. But at times that approach feels undeservedly forgiving, as if it's enough for Agnieszka to point out to the Dragon that he's caused a great deal of pain, and this will make it alright for her to end up with him, because he's agreed not to do it any more. It's not quite enough to mar the book's ending--as I say, you do end up rooting for this romance--but I get the feeling that Novik was trying to buck some of the more poisonous conventions of the romance genre, and I don't think she's done quite enough to achieve that. 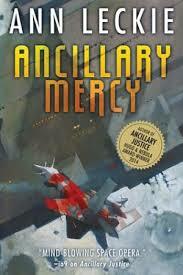 Ancillary Sword and Ancillary Mercy by Ann Leckie - I've mentioned before that I've gotten in the habit of reading the first volume in a trilogy, enjoying it well enough, and then never getting around to reading the concluding volumes, because there are so many other, in some cases standalone, books to attend to that who has the time. If it hadn't been for my desire to get a good grounding in this year's Hugo-nominated novels, I might have done the same with the final two volumes of Leckie's massively successful series, and though I enjoyed both books, I'm not sure that they're enough to get me to change my habits--while both elaborate on the ideas and the world introduced in Ancillary Justice, neither one adds enough to it to justify their existence on their own merits. 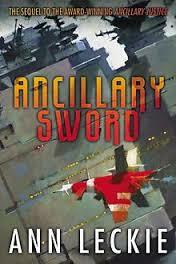 My understanding is that a lot of readers were disappointed in Ancillary Sword, and one can see why given that it suffers from pretty classic middle book problems (another reason, in my experience, to avoid trilogies--if 33% of your experience is going to be stage-setting, you might as well stick with standalones). But it also does a great deal that I ended up appreciating in its own right, as distinct from the series's overarching story. The book, which sees former ship's AI turned individual turned ship's captain Breq dispatched to a system with strategic importance to the Imperial Radch, in order to hold it for the "right" version of the tyrant Anaander Mianaai, an individual distributed over many bodies who has experienced a schism within themselves, leans very heavily on the novel of manners aspect of the story, an important component of a lot of space opera that doesn't get nearly enough play in most discussions of the genre. Most of the novel is concerned with internal politics on Breq's ship, diplomatic maneuvers with the officials she meets in the system, and negotiations with various interest groups among the local population. It's all done with the same light touch and wry sense of humor that characterized Ancillary Justice, but besides being a fun, breezy read, it's nice to see a novel about the running of a gigantic space empire that recognizes that a lot--the vast and overwhelming majority, in fact--of the work that goes into keeping such an edifice going involves talking. One of the things that Ancillary Sword gets to highlight, now that Breq is in a position of authority, is how much of a role language plays in maintaining and reinforcing the imperial project. By classifying certain people as uncivilized, illegal, or unapproved, the empire's officers ensure that they can never be anything else, because that very designation ensures that they will never have access to the tools that will allow them to climb the ladder of ranks that supposedly gives every citizen of the empire a fair shake. Breq tries to act as a force of justice, to point out the rhetorical tricks by which the empire blinds even its diligent and conscientious officers to the injustice they're perpetuating. But even she ends up functioning as a tool of oppression, for example when she uncovers an assassination plot, and hands the perpetrators over to justice even though she knows that the less privileged, and less guilty, of the two will get a harsher sentence. When the story moves on to Ancillary Mercy, however, these issues turn out to be, well, not exactly ancillary to Leckie's project, but a lot less important than I would have liked. Mercy picks up from the relative doldrums of Sword and places Breq at the center of a military dispute between the different factions of Anaander Mianaai, with much of the population of the system at stake. It's here that the series's polite, mannered tone starts to work against it--Breq's ability to find a way through the tangle of conflicting interests that threaten to destroy her, her ship, and her crew feels, by the end of the novel, a little magical. This is a particular problem when it comes to the novel's main concern, the rights of AIs to self-determination. When human characters point out to Breq that the ships and stations that house AIs are responsible for the lives of thousands of people, and that giving them total freedom could endanger those residents, her response is to insist that ships love their crew and would never hurt them. Which may be true, in the series's world, but if so it reinforces the feeling that the Ancillary books can sometimes be a little too nice for their own good--that the underlying assumptions of their world make it difficult to say meaningful things about the problems of empire. Ancillary Mercy is just as charming and engaging as the previous two volumes in the series, but in some ways this is precisely its problem--it can't quite earn the ending that Leckie has been aiming at for three books. The Fifth Season by N.K. Jemisin - I wish I had a bit more time on my hands to write a proper, full-length review of this book, the recent and richly-deserved Hugo winner. Then I might have some chance of doing justice to all the many remarkable things it does. Near the top of the list would be the way that Jemisin balances so many tropes and genres--epic fantasy, Dying Earth SF, post-apocalypse, X-Men-style persecuted superheroes--and combines them into a whole that is not only coherent and effortlessly readable, but often quite poetic. Set in a world called the Stillness that has already experienced several industrial flowerings and collapses, and which is currently riven by massive geological instability--which periodically leads to supervolcano eruptions and subsequent years-long winters due to ash in the atmosphere, the "fifth season" of the title--the book follows three heroines who possess a superpower that allows them to control the vibrations of the earth, to quell quakes and volcanoes--or to unleash them. Damaya is a "feral," a child whose gift for "orogeny" appeared unexpectedly in her family, and who is surrendered to the Fulcrum, the organization that trains and controls orogenes, in part because her parents know that people like her are so feared and reviled that her life would be in danger if she stayed in their community. Syenite is an adept at the Fulcrum, who is dispatched on a mission with Alabaster, one of the most skilled orogenes alive, with orders to conceive a child with him, thus furthering his bloodline. Essun is an escapee from the Fulcrum who has lived hidden in a remote community for years. As the book begins, her husband discovers her secret and murders one of their children, kidnapping the other. Essun sets out after him, in hopes of retrieving her missing daughter, and of revenge. The theme of necessity warping thought processes can also be observed in the reaction to orogenes, and more importantly, in how they are taught to see themselves. The Stillness both needs and desperately fears orogens, and though both of these reactions are understandable--over the course of the novel, we witness orogenes, driven by anger and grief, causing destruction that claims the lives of millions of people--the mechanisms that it has created in order to control them are horrific. Orogenes are taught that the Fulcrum is the only place where they can be safe and themselves, but these privileges come with a price--think a twisted (or perhaps more realistic) version of Xavier's School for Gifted Youngsters. Within the Fulcrum, orogenes are subjected to psychological and physical abuse (and, if you count Syenite and Alabaster's forced breeding, sexual as well), designed to stamp out their independence and free will. Their lives are circumscribed by Guardians, who form twisted bonds of mingled control and affection with their charges, the better to isolate them from the world and ensure that they never make decisions on their own. Orogenes are taught to seek control above all things--any indication that they might be slipping in this respect is cause for punishment or even destruction--and at the same time, they have no control over their own lives. One of the chief accomplishments of this novel is how it conveys the psychological effects of this conditioning--at three different points in life--and the way that it inevitably leads the orogenes to participate in their own oppression, not just because they fear the Guardians, but because they crave their approval, and believe that the only way to achieve something resembling freedom is to play along with the system. All three women end up pushing against the system that has confined and abused them, in different ways that nevertheless lead them, inevitably, to an exploration of different ways of ordering society which do not depend on the exploitation and oppression of orogenes, and to an investigation into the nature of orogeny and the reasons for the Stillness's instability. It's that latter point--though its execution is typically excellent--that leaves me a little worried about future volumes in this projected trilogy. Despite the momentous events it describes, and the hard work it puts into building its world, The Fifth Season is largely a character-based novel, an exploration of the ways in which abuse and oppression warp the soul, and of the corrosive effects that repeated grief and loss can have over even well-meaning people. But it is also, very clearly, a novel of setup, whose purpose is to bring its heroines to a particular point so that the story proper can begin. I'm a little less interested in the promised next phase of this story, already teased in the novel's closing chapters, in which Essun explores hidden cities, investigates her power over the mysterious remnants of ancient technology left in her world, and meets what appear to be aliens (it doesn't help that it's in these chapters that the book's ironclad control over its pace and structure goes a little wobbly; too many secondary characters just happen to show up at the same place and time, and too many new concepts are introduced at once, in a way that's clearly designed to set up the sequel, not service the current volume's story). Still, The Fifth Season is so accomplished, so well done, and such a pleasure to read, that I would be a fool not to break my own habit, and commit right now to keeping up with this series. The Vision, Vol. 1: Little Worse Than a Man by Tom King and Gabriel Hernandez Walta - The biggest deal in Marvel comics this year, at least for people like myself who aren't regular comics readers and know the company's universe mostly from the MCU, is Ta-Nehisi Coates's Black Panther. I'm looking forward to the first trade collection of that story, but in the meantime, I wish a little more attention were being paid to King's new run of The Vision, which is absolutely a story that SF fans should be flocking to. io9 highlighted it a few weeks ago, which is why I ended up picking it up, but I'd like to see more discussion of this story, in which the eponymous purple synthezoid makes himself a family, complete with wife and twin teenage children, and moves them to the suburbs. The actual plot is hardly original--robot tries to be human, with disastrous results--but the execution is flawless, resulting in a story that is sad, creepy, and disturbing. We're told from the outset that the Vision's experiment in normalcy will end in tragedy and death, but the terms in which that story is related, as the Visions keep making decisions that might make sense in the moment, but which quickly snowball into awfulness, are refreshingly undramatic. 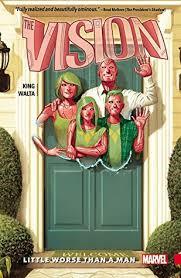 The Vision's own clear-headed, rational way of seeing the world informs King's storytelling, even as he and his family keep making choices that are completely irrational in order to protect themselves and each other, and this gives the story a force it might not have had if it had taken the more obvious approach of melodramatic grimdark. (Walta's art, which confines the story's increasingly deranged events into neat panels, helps to convey the sense of a normalcy that is stifling rather than relaxing.) In the end, we're left to wonder: did the Vision's experiment fail because he and his family are too different from humans, or because they are too like us? I'm less enthusiastic about the story's final turn, which brings in the Avengers and a potentially world-destroying calamity, and heralds a more conventional direction for the next volume. But taken on its own, Little Worse Than a Man is brilliantly bleak piece of SF storytelling, that finally does something interesting with a character whose movie incarnation I've found rather pointless. 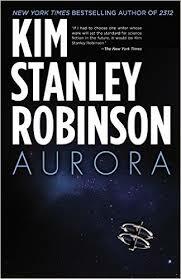 Aurora by Kim Stanley Robinson - Robinson's latest feels of a piece with his 2012 novel 2312, first in the sense that they seem to take place, more or less, in the same continuity (though Aurora is set several centuries later), and second because they're told in a similar combination of the personal and the technical, with passages from the point of view of human characters interspersed with long segments from the point of view of the AI of a generation ship, who narrates events on the ship with journalistic detachment, and a strong focus of the scientific and engineering challenges of keeping the ship and its inhabitants going over the centuries. But despite their similar approaches, Aurora has a very different feel from 2312, precisely because of the difference in their settings. 2312 was a freewheeling grand tour of a colonized solar system. It delighted in jumping from one location to another, showing off the outlandish ways in which humans had figured out how to live on nearly every rock in our system, and interspersed its narrative with news clippings and encyclopedia entries that showed off the richness and diversity of human experience in this setting. Aurora, in contrast, is deliberately constricted. Whether they realize it or not, its characters are trapped in a tiny, make-believe world that is warping them in a million tiny yet noticeable ways--from skewing their evolution, to constantly threatening to collapse their living environment, to depositing them on a dead world that may be even more dangerous than the centuries-long journey they've made to it. Aurora is a bleak novel, and it has been accused in some quarters of being tendentious--or arguing and in fact skewing its argument towards the conclusion that the exploration and colonization of deep space are a fool's errand. Without regular contact with the planet on which they evolved and for which they are perfectly suited, the book's characters discover, their civilization falls prey to a host of poorly understood disorders that leave them physiologically and psychologically scarred. More importantly, they end up feeling robbed and used, the pawns in a megalomaniacal project to colonize the galaxy that never took into account the human cost of such a project. Aurora ends up treating the architects of generation ships (and the people in the present who, despite the failure of the story's mission, still insist that it is humanity's ordained fate to colonize the stars) as callous fools, who cavalierly dismiss the suffering, starvation, and death endured by the would-be colonists as an acceptable cost for a prize that might never be achieved. It's not an easy read--the combination of a bleak, claustrophobic tone with characters who ultimately have very little control over their lives, and whose only triumph comes from admitting defeat and giving up on the mission they inherited, makes for a slow, halting reading experience. But it's also one of Robinson's most soulful and thought-provoking novels, a work whose main concern is trying to get at the connection between humans and their environment--a connection which, Robinson argues, can't be replicated in an artificial world, or an alien one. The second part of my review of this year's Clarke shortlist is now online at Strange Horizons, covering Arcadia by Iain Pears, Europe at Midnight by Dave Hutchinson, and The Book of Phoenix by Nnedi Okorafor. You can find it here, and in case you haven't already read part 1, that's here. The actual winner will be announced in London in a few hours, but as I write in the conclusion to the review, I tend to see that announcement as less of a triumph for any particular book, and more a data point that will help to clarify--at least a little--what the judges were aiming for with this year's bland and conventional shortlist. The book that wins will tell us a great deal about how this year's judges saw the Clarke, and their task as its jury. But I'm hopeful that next year the jury will make more interesting, more challenging choices. Martin Petto has updated his collection of links to discussion of the shortlist, including this essay by Megan of the (new to me) blog From Couch to Moon. It's very much worth reading, including some interesting reflections on both the Clarke and this year's nominated books. To me, it also clarified many of my problems with this shortlist. Megan and I largely agree about the ranking of the six nominated books, and our thoughts about the ones that, I suspect, we'd both happily knock off the shortlist are largely in line. But when it comes to the two books that I think we'd both class as good--Europe at Midnight and The Book of Phoenix--our opinions diverge widely. Megan sees Europe as much more self-contained and self-sustaining than I do (to me it feels like a pendant to the previous volume in this trilogy, Europe in Autumn, whereas Megan calls it superior to that book). And though we both agree that The Book of Phoenix is the most likely winner of this year's Clarke, it's clear that we took very different things away from the book, and read it quite differently. And that, not to keep repeating myself, is how the Clarke should work. The books it highlights should be the ones that people disagree about, even if they're broadly in agreement about their quality and literary merits. I want the Clarke shortlist to be full of books that I could write 3,000 words about, and then go and read someone else's 3,000 words and discover a whole host of ideas I'd never considered. I hope I won't have to wait too long before getting a shortlist like that again. The first part of my mega-review of this year's Clarke Award-nominated novels appears today at Strange Horizons. This is the fourth time that I've reviewed the entire shortlist, a tradition begun by Adam Roberts at Infinity Plus and carried on by Strange Horizons with rotating reviewers. I'm sad to say that this was by far the least fun I've had reviewing the Clarke shortlist, not so much because the nominated books are bad--though a few definitely are--but because there ended up being so much less to say about them than I'm used to. After finishing my read-through of the nominated novels, I started reading a few of the books that were submitted for consideration, and the difference is striking. It's not so much that the books left off the Clarke shortlist are masterpieces--on the contrary, I would have had serious reservations about most of them if I'd had to review them for this project. But that's precisely the point. I would have had so much more to say about, for example, Kim Stanley Robinson's Aurora, a book I struggled with but found utterly fascinating, than just about any of the choices this year's Clarke judges made. What makes the Clarke special, to me, is that not so much that it makes consistently good choices, as that it makes consistently interesting choices. It failed at that task this year. The first half of my review--which discusses Adrian Tchaikovsky's Children of Time, J.P. Smythe's Way Down Dark, and Becky Chambers's A Long Way to a Small, Angry Planet--is here. At his blog, Martin Petto has been collecting other reviews of the shortlisted novels, and thoughts on the shortlist as a whole (on the latter front, be sure to read Nina Allan's meditation on the shortlist and the Clarke as a whole). The second half of my review will be published on Wednesday, and later that evening the Clarke winner will be announced. A month ago, when I posted here to remind people that the Hugo voting deadline was coming up, it was with a bit of trepidation. Last year, when puppies of various stripes decided to get their jollies by trying to tear down this award, we saw a huge influx of new voters who showed up to make it clear that this was unacceptable behavior. That the Hugo belongs to the people who care about it, not people who try to use it to score outdated, bigoted political points, or further their fevered personal agenda. This year, it was clear that a lot of those same voters weren't coming back. They had made their point, and were, quite reasonably, moving on to the things that interested them. It's a funny fact about people who spend their lives concentrating on the things they care about, not the things they'd like to destroy, but it's usually a lot harder to corral them into action against the latter. Which is great, but also potentially worrying, because if the people who had nothing better to do with their lives than try to destroy the Hugos outnumbered the ones who do, we could have ended up with some depressing Hugo results. I should have known better. The one thing I keep learning, again and again, as I study this award is that, much as it frustrates me, much as it throws up shortlists that disappoint me, much as it often seems stuck in a middlebrow rut, the Hugo is always what it is. It doesn't take thousands of new voters to keep the Hugo true to itself, because the people who vote for it every year will do that job themselves. With something like half the voters we had last year, we still managed to send the same message: that we have no patience for astroturf; that we have no time for writing that embarrasses the paper and ink used to print it; and that this is an award that can be gamed, but it can't be stolen. This year's Hugo voters had no trouble telling junk from serious nominees; they saw the difference between the nominees being used as shields by the puppies and the ones that truly represent their literary tastes and politics. And even more importantly, in the best novel and best novella categories in particular, Hugo voters recognized some of the finest and most exciting work published in this genre in years. That Vox Day's second swat on the muzzle came in the form of a Hugo award for N.K. 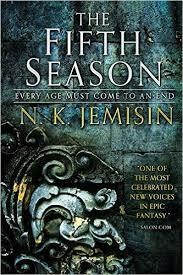 Jemisin is extremely satisfying, but that's just icing on the cake of handing the Hugo to The Fifth Season, a genuinely brilliant, defining novel. Now that we've established that the Hugo can take care of itself, what next? The voting and nominating breakdowns published this morning paint an interesting picture. The bump caused by 2015's influx of voters is very noticeable. If you compare this year's nominating numbers to last year's, it's interesting to note the huge surge of nominating ballots required to get on the final ballot, even among non-puppy nominees. In 2015, for example, Laura J. Mixon, the highest-ranked non-puppy nominee in the best fan writer category, got 129 votes. This year, that wouldn't have been enough to get her on the ballot. In fact, my 141 nominating ballots (50 more than last year) would have left me below the threshold, even if there had been no puppy nominees at all. That in itself is unsurprising, but what's interesting is how that effect disappears when you move to the voting phase. Pretty much across the board, the total number of valid ballots in each of this year's categories represents a 50% drop from last year. In other words, and as I noted above, most of last year's protest voters exercised their right to nominate in this year's Hugos, but they didn't stick around for the voting phase (for which they would have had to pay extra). This is equally true of the puppy voters. In its analysis of this morning's stats, Chaos Horizons theorizes that there were approximately 450 puppy nominators for this year's awards, but that only about 160 of them stuck around for the voting phase. What this means is that the puppy problem is, to a certain extent, self-correcting. For all their bluster last years, it's clear that most of them weren't interested in undergoing a repeat performance, and moved on to other, easier trolling targets. That's no reason to get complacent, obviously, but it's an important data point that we should pay attention to as we seek to reshape the Hugos in order to prevent another Puppygate. To that end, two proposals were passed in today's WSFS business meeting. The first was the second-year ratification of E Pluribus Hugo, the complicated vote-counting algorithm intended to counter the effects of slate voting. In preparation for discussion of this proposal, the award's administrators ran anonymized nominating data from 2015, 2014, and this year's awards to see what effect EPH would have on the resulting ballots. The results aren't exactly encouraging: EPH does some good in this year's ballot, but hardly any for last year's, where the problem was a great deal more pronounced. It is, at best, a partial solution. Another proposal, which passed on the first vote, and needs to be ratified next year, is Three Stage Voting. This would add a longlist stage to the nominating procedure, allowing voters to weed out astroturf--or just plain bad--nominees. I think this proposal has the virtue of being straightforward and transparent to the voters, but it also has the problem that any additional encumbrance to voters will naturally suppress participation in the award. It will also make it harder for voters to make informed choices, since in the second voting phase they'll have less time in which to read more nominated works, and this will naturally benefit more popular work by more visible writers. As I wrote above, I'm no longer convinced that this kind of fiddling with the Hugos is even necessary anymore. In general, it feels as if there's a movement towards limiting access to the Hugos, after more than a decade of moving in the other direction--one proposal raised before the business meeting was to eliminate nominating rights for members of the next Worldcon, and I've seen people suggest that members of the previous Worldcon should be stripped of nominating rights as well (at the moment, members of the current, previous, and next Worldcon can nominate for the current Worldcon's ballot, but only members of the current convention can vote on the winners). I can certainly understand why this shift is happening, but I think it's important to remember that the Hugo's relevance and legitimacy rest, in part, on the breadth of participation in it. We don't want to go back to the days, not at all distant, when the award was handed out based on the votes of fewer than a thousand people. This year's nominees and winners are far from the ideal situation, but as always, it's worth remembering that there is no ideal with the Hugo. At its best, it will always be a compromise award, one that often fails to recognize the boundaries of the genre, even when they're where the most interesting work is happening. Instead of trying to legislate that fact away, we should be coming up with more constructive ways to deal with it--and, eventually, accept it.